Velouté (prounounced "vuh-loo-TAY") is one of the five mother sauces of classical cuisine, which means it's a starting point from which a number of sauces can be made, rather than a finished sauce itself. It's sort of like a blank coloring book — you start with the lines and shapes and then color it in any way you choose. Like béchamel, velouté is considered a white sauce, and both are thickened with roux. Whereas béchamel has milk as its base, velouté is made with stock. Since there are three types of white stock — chicken, veal, and fish — there are likewise three types of velouté, but chicken is the most common. 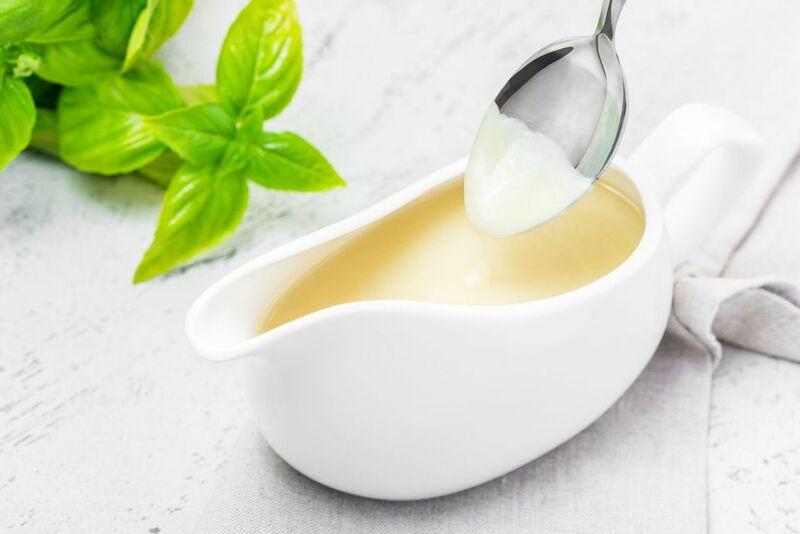 One of the sauces that's derived from chicken velouté is called a suprême sauce, and it's made by finishing a veloute with cream, butter, and lemon juice. Supreme sauce is known as a secondary mother sauce because it can be served itself or used as the basis for still other sauce recipes. In a separate heavy-bottomed saucepan, melt the clarified butter over a medium heat until it becomes frothy. Take care not to let it turn brown. With a wooden spoon, stir the flour into the melted butter a little bit at a time, until it is fully incorporated, giving you a pale-yellow-colored paste called a roux. Heat the roux for another few minutes or so, until it has turned a light blond color. This helps cook off the raw flour flavor. Since this is a white sauce, you don't want to let the roux get too dark. While the most common type of velouté is made with chicken stock, you can make it with veal stock or fish stock, depending on which protein you'll be pairing it with.